Netanyahu leaves on a historic visit to Brazil, where he will meet with President-elect Jair Bolsonaro and attend his inauguration. Prime Minister Binyamin Netanyahu left on Thursday evening on a historic visit to Brazil where he will meet with President-elect Jair Bolsonaro and attend his inauguration. 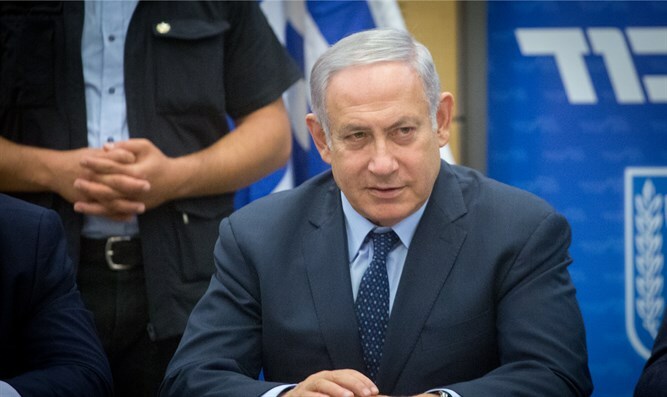 Netanyahu will meet with the Brazilian defense and foreign ministers and is also due to meet with US Secretary of State Mike Pompeo, Chilean President Sebastian Pińera, Honduras President Juan Orlando Hernandez and other leaders. The Prime Minister will also meet with Brazilian Jewish community leaders and participate in community events, which will also be attended by Rio de Janeiro Mayor Marcelo Bezerra Crivella. “We will discuss Israel's ties with the largest country in Latin America, the fifth most populous country in the world. Brazil is a huge country with huge potential for the State of Israel, economically, diplomatically and vis-à-vis security,” tweeted Netanyahu. “It is a great change that [President-elect] Bolsonaro has declared and I am pleased that we can begin a new era between Israel and the major power called Brazil,” he added.